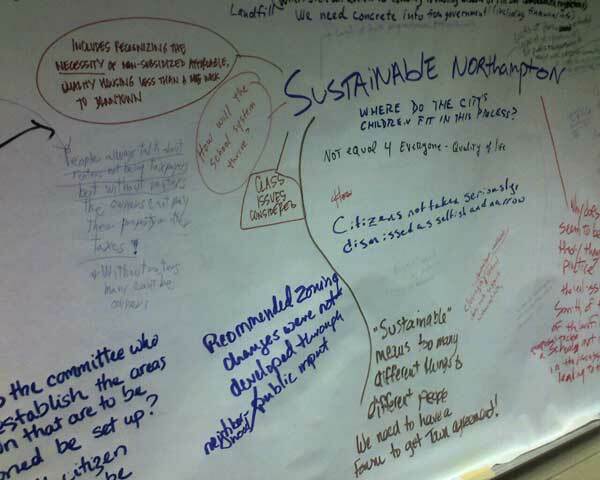 Here is a complete YouTube video of the 3/30/11 meeting of Northampton’s Zoning Revisions Committee. This video is 1 hour 54 minutes long and was recorded by Adam Cohen. The committee decided to recommend more lenient rules for home occupations and to codify rules for urban chickens. These will next be reviewed by the Planning Board. The committee reviewed a collection of preliminary dimensional and design standards proposals suggested by members. The sense of the committee was that the issues involved are complex and require significantly more discussion. 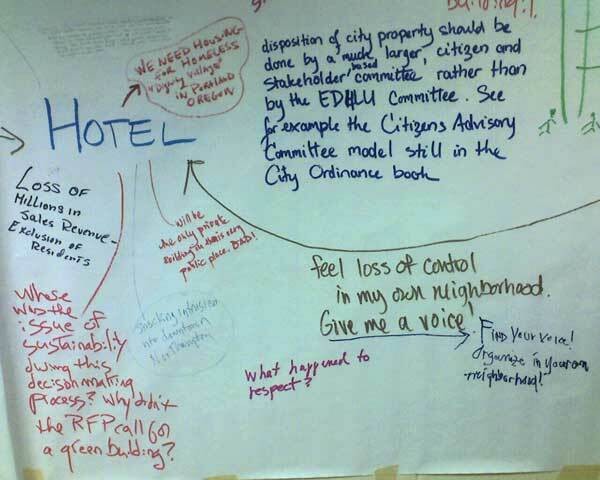 The committee will take these topics up again at its April 6 meeting in City Hall, Room 10 (2nd floor), 7-9pm. The public is encouraged to attend. During the public comment period of the March 30 meeting, Arnold Levinson and Adam Cohen raised the issue of social equity. In particular, if zoning districts Urban Residential B and Urban Residential C are to be densified, so too should a patch of (less dense) Urban Residential A in the area of Hillside Road and Bancroft Road by Smith College, since all these areas are within roughly the same walking distance to downtown Northampton. Adam Cohen also objected to the suggestion that green roofs and porches be counted towards open space requirements (it can result in the effective privatization of spaces that had been quasi-public). ZRC chair Dani McKahn expressed a belief, based on the February public forums, that citizens care more about how buildings relate to each other and to the street than they do about the design of a building. However, design was certainly a major component of NSNA’s objections to the original Kohl condo proposals for North Street, and was also a factor in public opposition to the Hilton Garden Inn. A procedural issue arose early in the meeting in that ZRC member Dennis Bidwell objected to releasing documents to the public before the ZRC has had time to discuss and refine them. He was concerned that the public could be “confused” by ideas suggested in raw, preliminary documents. Adam Cohen disagreed, and said that the public needs time to receive and parse through these documents so as to contribute meaningfully to the committee’s deliberations before their opinions begin to solidify. He asserted it was in the committee’s interest to hear the public’s concerns at the earliest opportunity, and that it would be far worse for measures to be enacted into law, with a developer acting on them, and the public raising objections only at that point. Video time 0:00:00-1:15:30… At 1:11, the Planning Board declines to endorse staff’s initiative to change Northampton’s zero lot line regulations. Issues raised included ensuring the public has a chance to weigh in on specific development proposals and the possible unfairness of changing the rules in zoning districts URB and URC but not URA, even though some URA parcels are close to downtown (infill) areas. The diversity of parcels in URA is making it hard to regulate them all optimally. Planning Board member Katharine Baker: “…sounds like URA is a mess…” (1:15:17) See the Northampton zoning maps for details. Best Practices, Infill, Ordinances and Regulations, Videos. permalink.